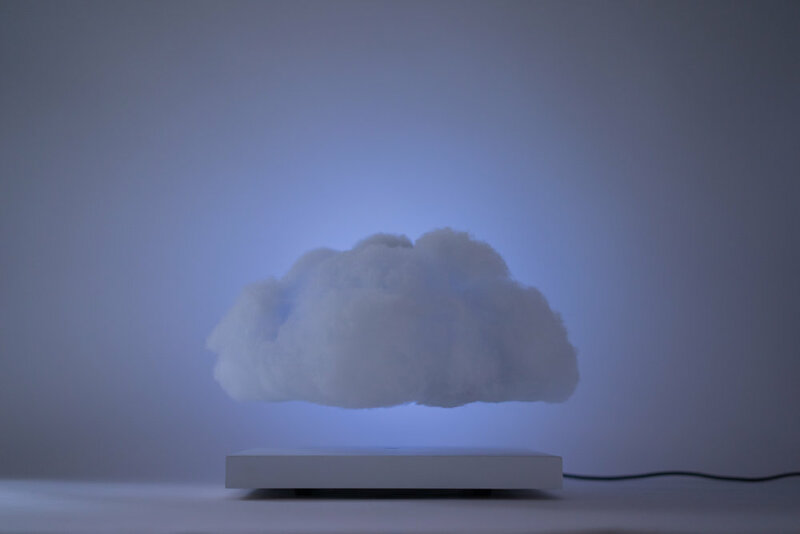 This floating cloud lamp is a standout home decor piece that is absolutely stunning. It adds ambient light to any home or office area and is sure to be appreciated by everyone who sees it. A very unique way to add interest to your decor because it is very likely that people have never seen one of these in action before. Two companies have combined their skills in order to create this fabulous lamp. Crealev is the company responsible for designing the innovative levitating technology. The design of the function and form of the actual lamp is credited the Richard Clarkson Studio. There are magnetic components in the base and in the cloud. It is because of this that the cloud floats 2.75 inches above the base. The cloud is held in place because of magnets and a location sensor. Rare earth magnets and electromagnets are used. The infrared locating beam communicates with the base. 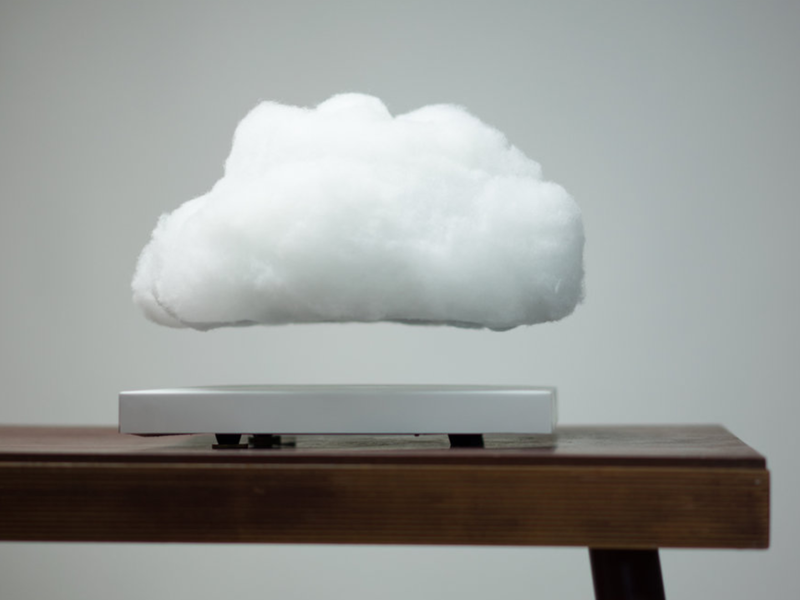 You can charge the cloud while it is floating because it is designed for permanent levitation. It is reactive to sound and will flash to the beat of music that you play. There are a range of lamp modes so you can adjust the lighting. You can use the infrared remote control to choose between white and colored lighting. Because having the right lighting is important. Many months of research and user testing have resulted in this product. It is a highly sought after and cool decor piece. 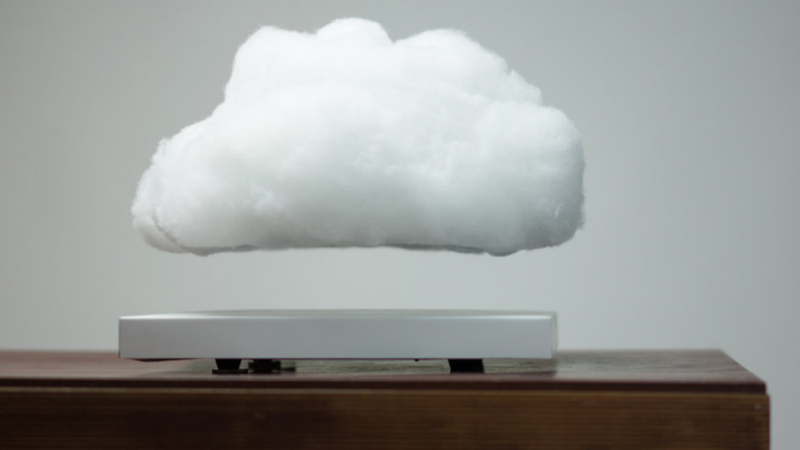 The cloud moves slightly in order to create a realistic user experience.